Kadafi, when is the date that you can tell us this "top secret" information? #50mandan wrote: Kadafi, when is the date that you can tell us this "top secret" information? It was supposed to be April 1, but she moved it back. I will tell you guys as soon as she lets me. As far as rankings go, rivals and scores isn't going to pay anybody to watch film on ND players, because of the quality of the competition. But they will send guys to big time AAU tournaments and tap into metro media sources. So the only hope of getting a player ranked is if Hanstad makes a big name for himself in AAU. I wouldn't put any stock into rankings, even power conference schools recruit kids that aren't on those lists. I believe UCLA even extended an invitation for Lucas Moorman to walk on out of high school, based on self submitted video. I would not doubt that in this day and age that lots of DI schools have looked at video on the top athletes, Collins and Finley included. Caitlyn Haring isn't going to Concordia. She's going to UND. Stealth wrote: Caitlyn Haring isn't going to Concordia. She's going to UND. Wrong...She has verbally committed to play basketball and soccer at Concordia. No, I think stealth is right, its UND. For both sports. It was announced in Forum Haring to Concordia. She had been looking at Jamestown or Concordia. UND was never mentioned. If you guys give us some proof on UND I MIGHT believe you. Yeah, and the forum never makes mistakes in their reporting. she'll be wearing the green and white next season. My sources tell me that the UND coaches called Coach Flaagan and talked to him about Caitlyn, they then called her and had a very good talk, I believe she is going to or already has gone up there and visited. My guess would be she goes to UND... but I dont know if she has made a commitment yet. I think Haring is a heck of a player. Honestly though I question whether UND would be a good fit for her. Depends what she wants to do. Play a lot at Concordia or spot play at UND. Either way, congrats to her and good luck! UND - about $12,000- $14,000, My guess is UND would want her to walk on the first year. For basketball yes, but she is a great soccer player that I would guess will get $$ for soccer. As far a concordia goes, Caitlyn is at the top of her class and very active in community service so I would suspect a top notch scholarship for other things than sports. Your right East Guru she is going to UND. Best of luck to her! Raider08 wrote: Any word on Collins? think about it....big....tv a few times a year. how many womens programs are consistantly on tv? Tennessee, UConn, duke, Carolina, Baylor, Texas, Oklahoma, Stanford, Rutgers. By the hints balla's been dropping I would say one of them...but i have no knowledge at all of her situation. baseball wrote: think about it....big....tv a few times a year. how many womens programs are consistantly on tv? Tennessee, UConn, duke, Carolina, Baylor, Texas, Oklahoma, Stanford, Rutgers. By the hints balla's been dropping I would say one of them...but i have no knowledge at all of her situation. BIG is also the start of a few conferences names...Just a hint. The Fargo South web page http://www.fargosouthgirlsbasketball.com says Caitlyn Haring is signed to play both basketball and soccer at UND! Who can tell me about Caitlyn Haring's basketball abilities and potential? It appears she doesn't score much but sure contributes in other ways. Can she play at the DI level? 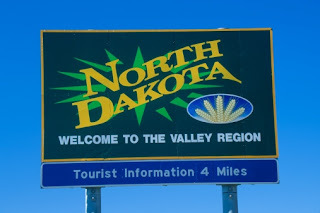 I first would like to eat my words as I did not believe that she was going to UND as she had verballed to Concordia but I will be happy to do that. No she does not score very much but I wonder if the coaches wont work with her to make her shot better? Her defensive skills are incredible..she is strong, quick and has the fastest hands that I have seen on any player. Do I think she can play D1...not really. I think that teams are going to be able to sink off of her and provide a double team because of her lack of scoring ability. She also plans to play soccer and I don't think she quite knows what a time committment a sport is at the D1 level. She will miss ALL of fall training due to soccer and I would guess that she will end up not playing basketball after her first year. Baller - thanks for your insight! According to the Grand Forks Herald, Madi Buck from Century has committed to UND for 2010-11.